Hury Lodge in North East England a perfect base for your holiday in County Durham. Find out more about Hury Lodge below. The property is able to sleep four people over one double and one twin room and comes with breathtaking views of the reservoir and surrounding countryside, complimented by the property’s beamed ceilings and wide French windows in the kitchen. Situated in its own grounds in the peaceful and tranquil hamlet of Hury, this property is a charming stone-built semi-detached cottage just 10 miles from Barnard Castle. Situated in the midst of beautiful surroundings, the property provides first class accommodation with a high-quality fitted kitchen and dining area, as well as a lounge with electric wood-burning-stove effect fire. Outside is a good sized garden and eating area, perfect for the long summer evenings. Oil central heating with electric fire in sitting room. Electric cooker, microwave, fridge/freezer, dishwasher, TV, DVD, radio/CD player, library of books/games. All fuel and power inc. in rent. Bed linen and towels inc. in rent. Cot and highchair available. Off road parking for 2 cars. Mature, lawned front garden with garden furniture and BBQ. Up to two well-behaved dogs welcome. Sorry, no smoking. Shop 4 miles, pub 3 miles. Note: The water supply is from the local spring. Hury Lodge is family friendly self catering. We have the following details listed regarding Hury Lodge accommodation accessibility but we would recommend that you always confirm these prior to booking with the owner or operator. Hury Lodge is a great base to explore the wonders of County Durham and you will find plenty of activities near by. Hury Lodge is at Baldersdale, County Durham DL12 9UU. Check out the map below for directions, use the controls to zoom in. Hury Lodge has a 4 star rating, do you agree? If you have stayed at Hury Lodge why not add your thoughts, comments, pictures to our Facebook page? Don't forget to add the name/town/page link to your comment so its attributed to the correct place. Please keep it polite, we are sensitive souls! Find Cottage Holidays works closely with independent cottage owners and leading holiday travel operators to provide you the widest choice of self catering accommodation across England. 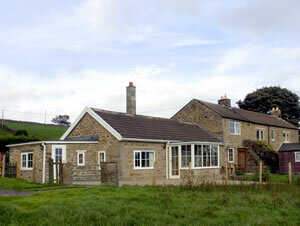 Hury Lodge in County Durham is available through: Sykes Cottages. Sykes Cottages has been supplying top quality holiday cottages for over 25 years and is now a highly respected national agency. They offer quality products at sensible value for money prices. If you are heading to County Durham then check out our guides to local holiday attractions, gardens to visit and county shows to see.